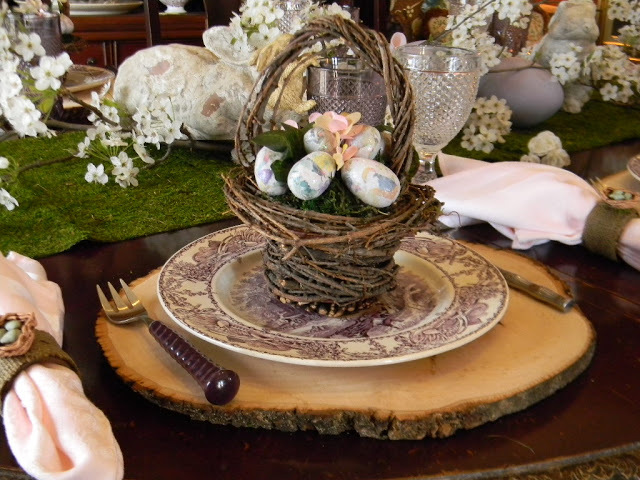 Nancy at Nancy’s Daily Dish created a beautiful Easter table using her purple transferware. 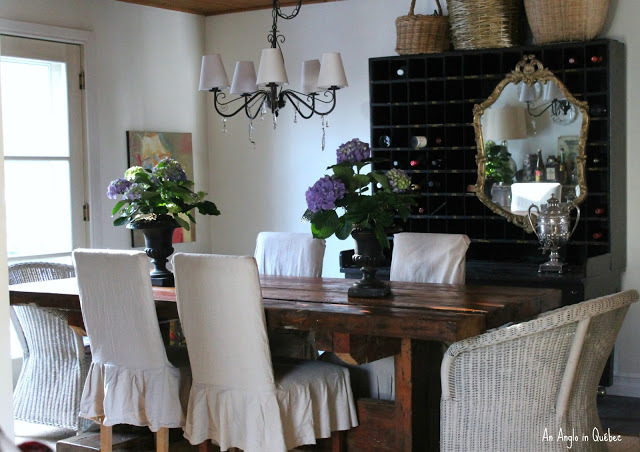 This gorgeous dining room belongs to Donna @ An Anglo In Quebec. What fantastic features Sherry – and Donna's dining room is just gorgeous beyond words – that mirror and where she placed it my favorite part! Hi Sherry! Thank you for hosting and I love the features. Thanks for hosting Sherry…I enjoyed the features! Beautiful features! Especially the bunny! He takes the cake – er, I mean the eggs – no, maybe the tulips! Oh, you know what I mean! Hi Sherry, great features! just linked up, thanks for having us! Great features Sherry. Thanks for hosting. I hope you have a wonderful Easter! Thank you Sherry! Happy Easter to you and your family. What a delight to see little Bugsby the Bunny sitting pretty in your first feature. I love all the darling displays and find myself wishing it could go on for another couple of weeks. Thank you so much for hosting each week. I love stopping by and joining in the fun. Happy Easter Sherry and thank you for hosting!! Thank you Sherry for the feature! Greatly appreciated. As usual, you throw a fun party!! I just want to squeeze that soft little bunny! Some great features here, Sherry! Lots of inspiration, too! Happy Easter! Thanks for hosting a wonderful Easter party! Thank you so much for hosting, I hope you have a very happy Easter weekend! I love Bugsby the bunny. What fun features! Thanks for the great link party!! Thanks so much for hosting!!! Have a great weekend! 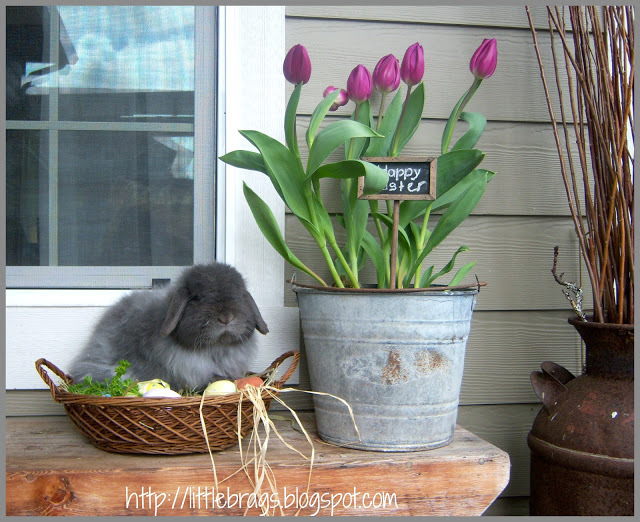 I love your features…especially that front porch with the real bunny — too cute! There is a commercial on TV now, who is the oldest person you know ? Thanks so much for hosting!! Happy Easter to you and your family!! Thanks so much for hosting your sweet linky party for us all. Hoping you have a wonderful Easter with your family. Such lovely Easter features. Thanks for hosting! I'm late, but happy to be joining in. That bunny is too cute! 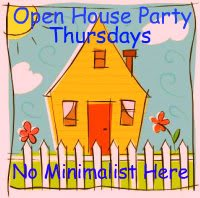 I just love this party! thanks for hosting! Sherry, thanks for hosting and having a great party!